Small stone amulet of a head rest. Plaque. Inscribed on both sides. Taweret(? 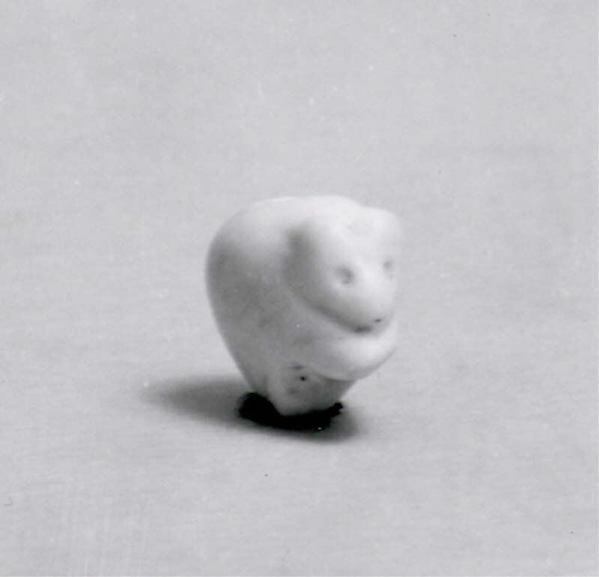 ), facing right. Suspended on loop broken. Serpentinized dolomite? Lower part broken. Ankh. 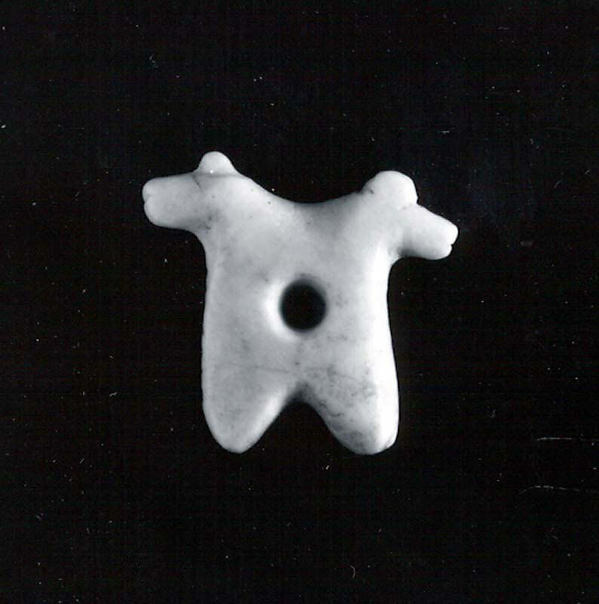 Amulet in the shape of a standing cow. Dark stone amulet of a deity, likely Thoth. The god has a human body and an animal head. He stands with his left leg forward and his arms are at his sides. There is a back pillar. The face of the god is broken away hindering certain identification. The amulet was boken in half and is mended. There is no hole for stringing. Amulet of deity, standing and holding an object. 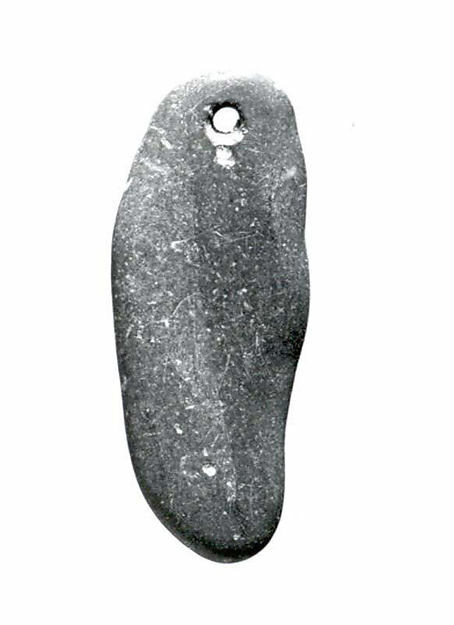 Oval transluscent-white stone with Arabic inscription in center and around edge. Rectangular blue-black stone. Angled corners and Arabic inscription.